Families of Speech: Four Lectures delivered before The Royal Institution of Great Britain in March 1869. Published by Request. First edition. In very good condition, cloth bright, crisp inside, possibly unused. 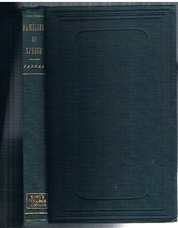 Small 8vo., original green cloth, gilt lettered spine, boards ruled in blind. 'Kings College London' in gilt to spine tail. Other library marks negligible. 3 folding philological maps, table, index. Later republished with 'Chapters on Language' as Language and Languages. 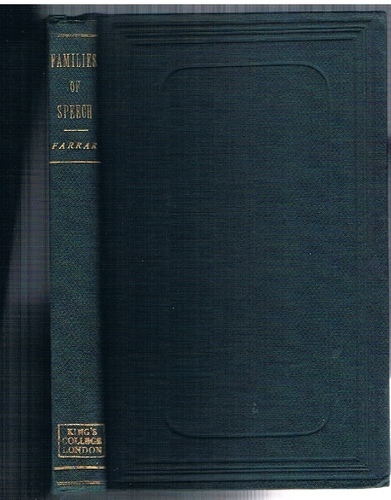 ; Farrar was a classics scholar and a comparative philologist, who applied Charles Darwin's ideas of branching descent to the relationships between languages, engaging in a protracted debate with the anti-Darwinian linguist Max Müller. (In April 1882, he was one of ten pallbearers at the funeral of Charles Darwin in Westminster Abbey). He was for a time a master at Harrow school and the preface to this book was written there. 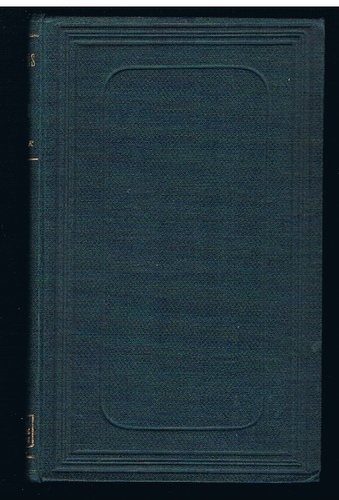 The title page is blind-stamped "Bulstrode, Gerrards Cross, Bucks". It also appears to have been, at a later date, part of the Walford collection at Kings College, London. London Longman's, Green, and Co.